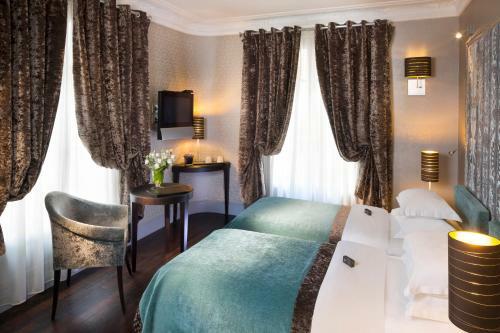 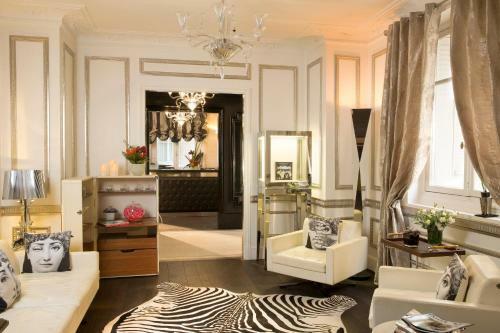 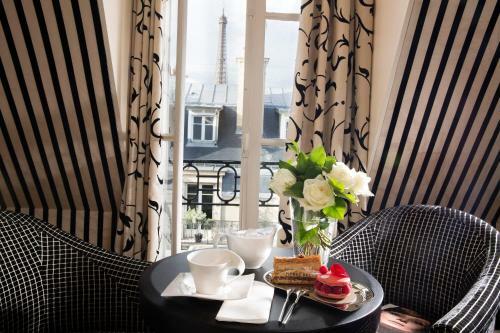 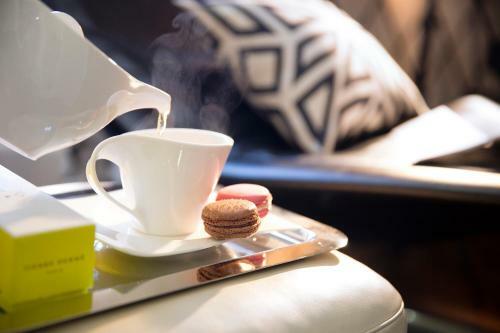 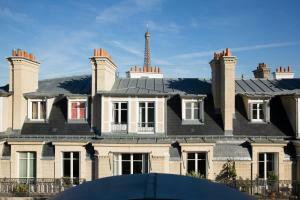 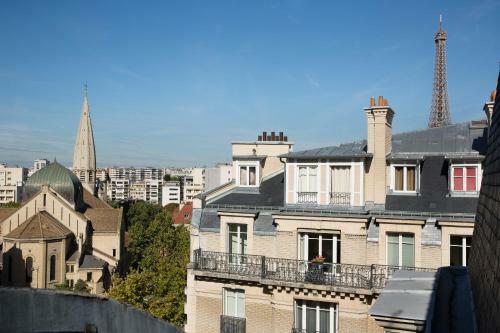 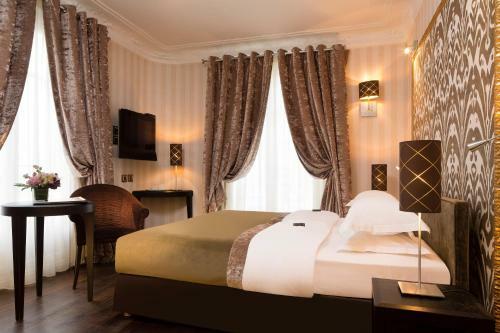 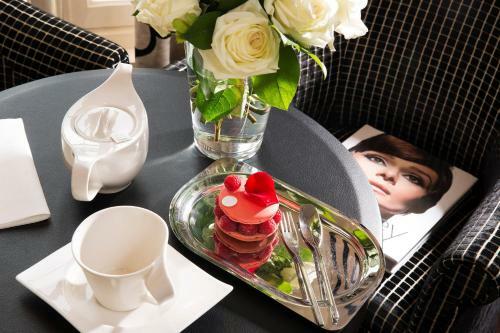 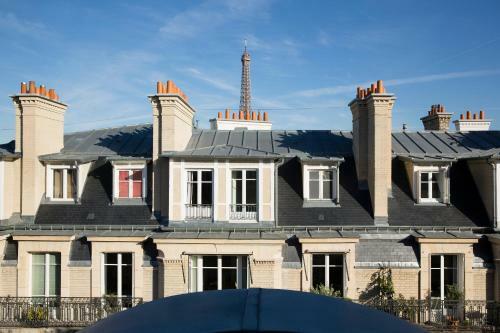 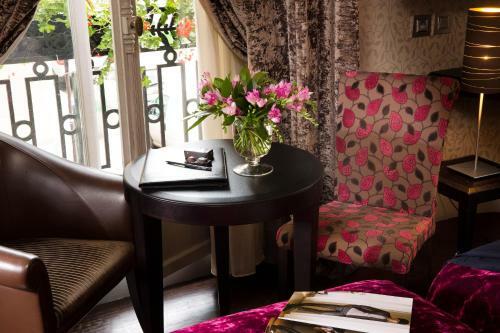 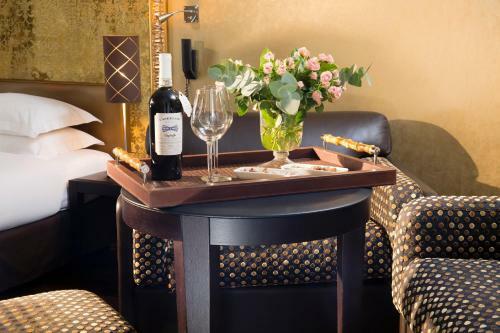 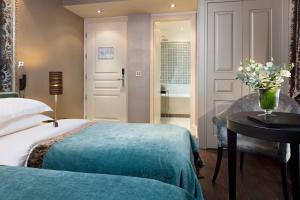 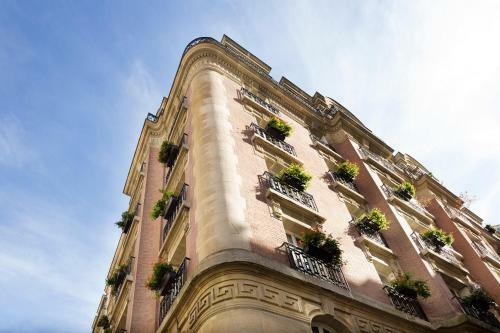 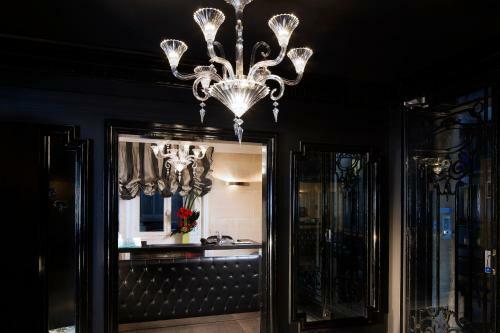 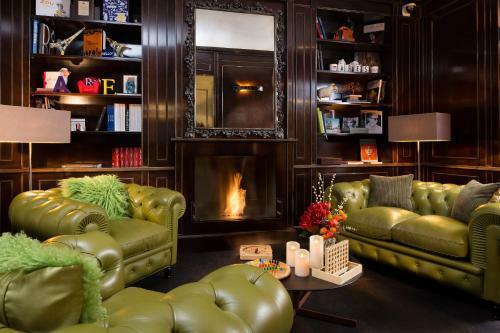 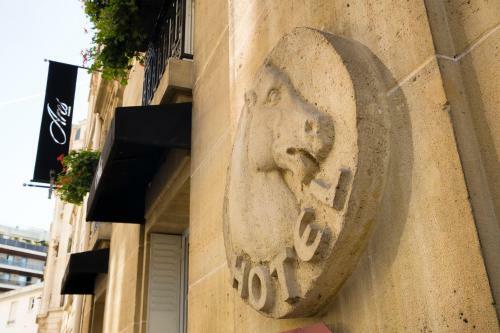 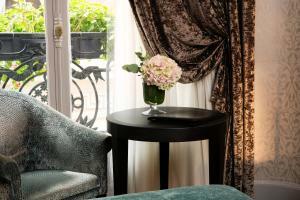 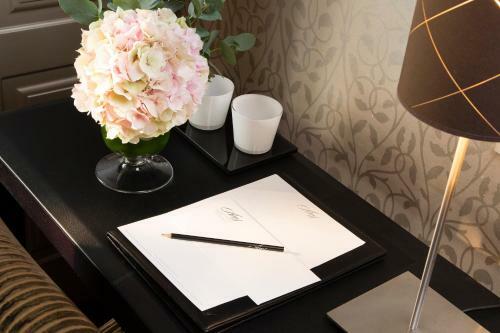 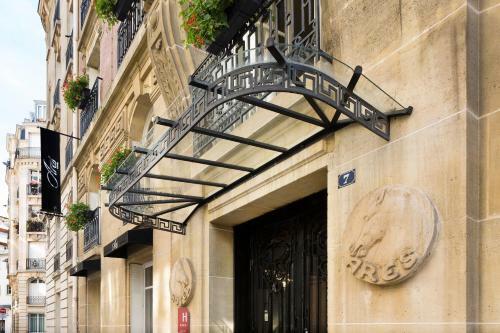 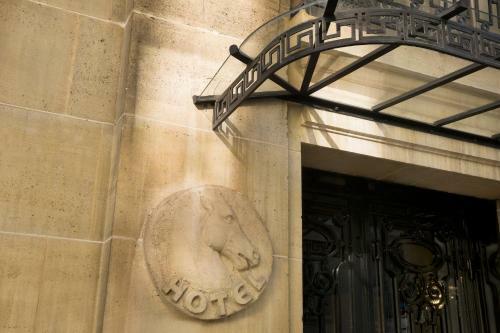 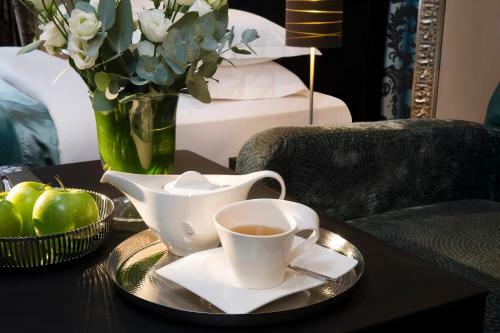 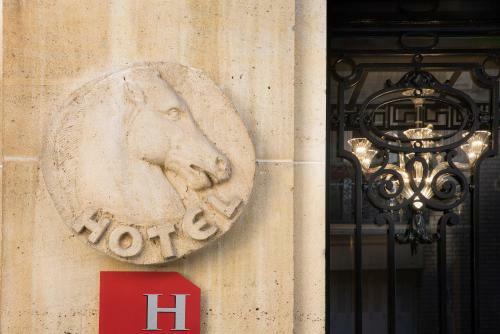 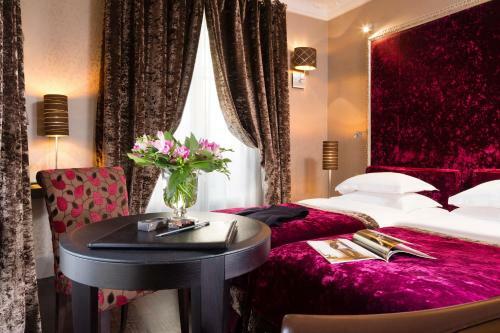 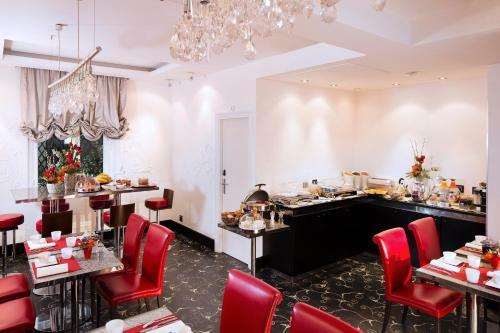 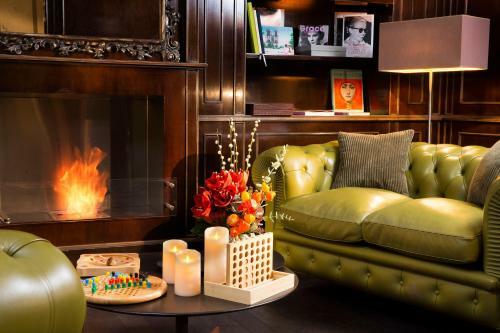 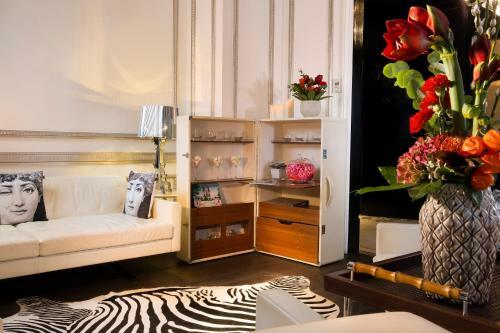 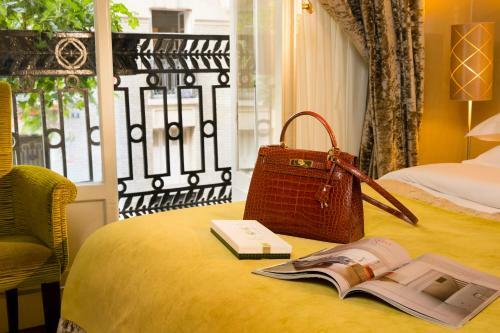 Hotel Arès Tour Eiffel is a 4-star boutique hotel located a 10-minute walk from the Eiffel Tower. 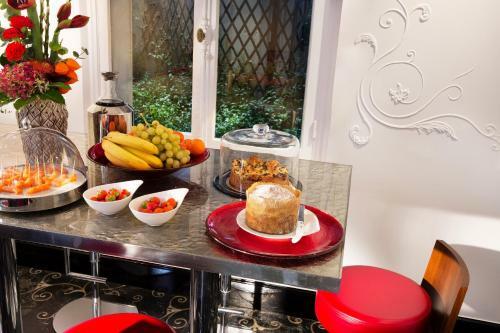 It offers air-conditioned rooms with free Wi-Fi and free access to a fitness and well-being centre 50 metres from the hotel. 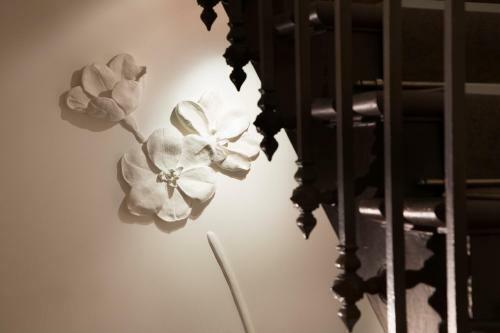 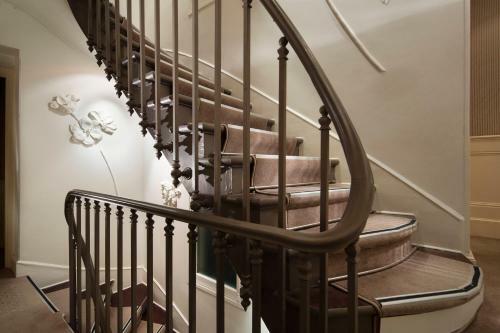 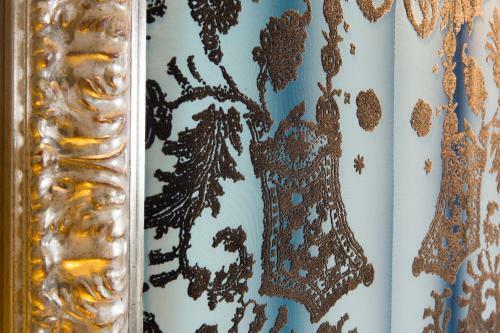 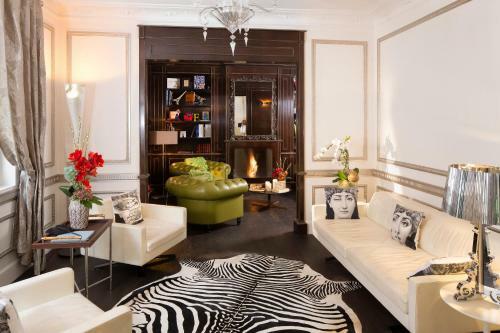 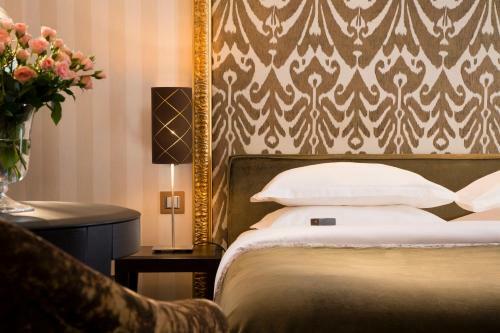 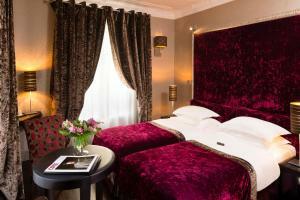 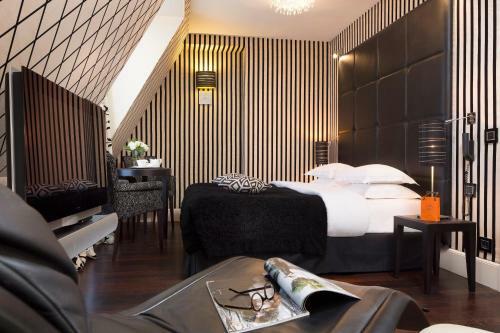 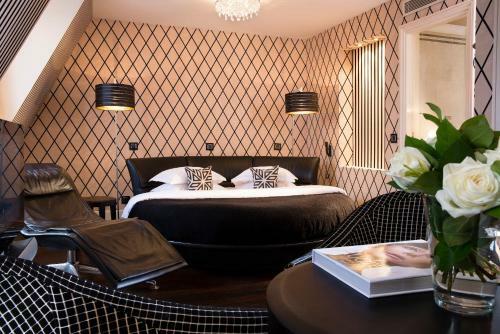 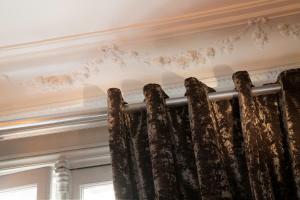 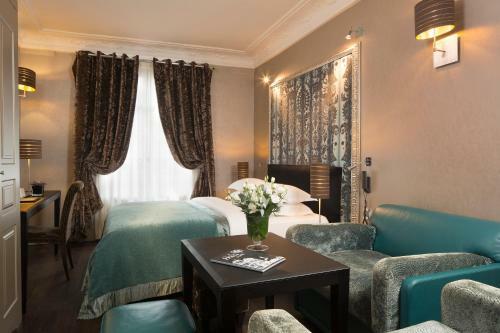 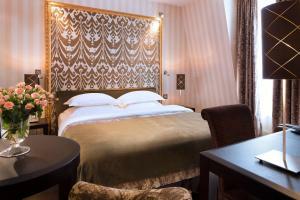 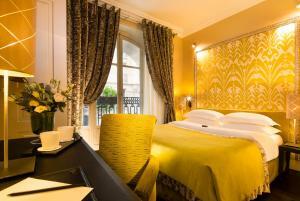 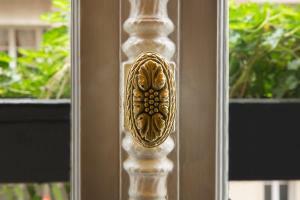 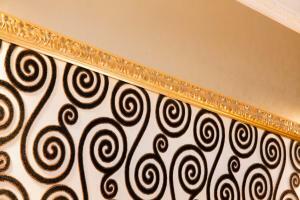 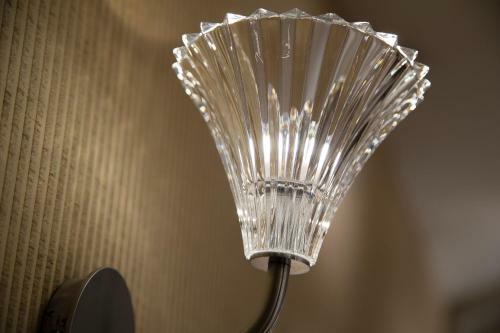 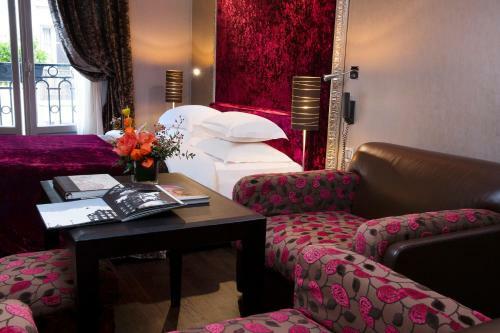 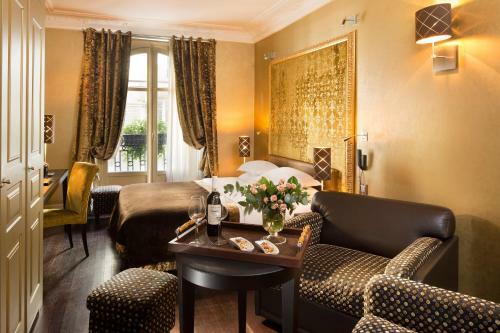 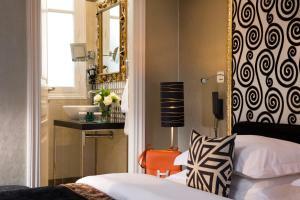 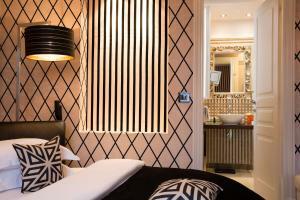 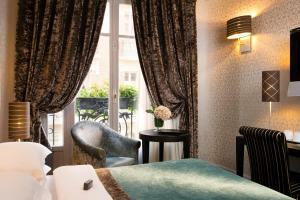 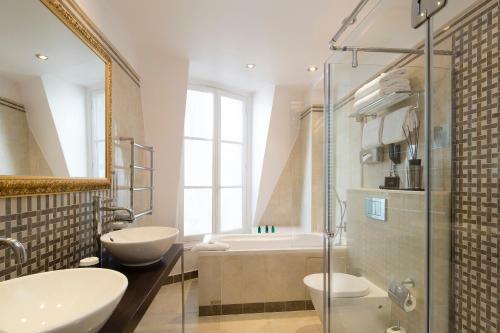 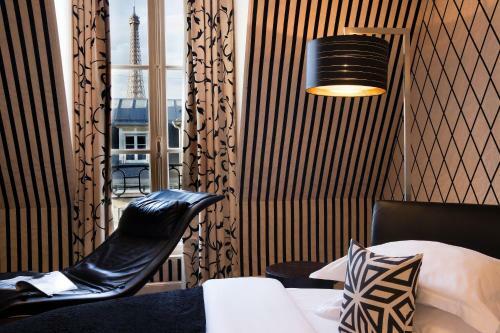 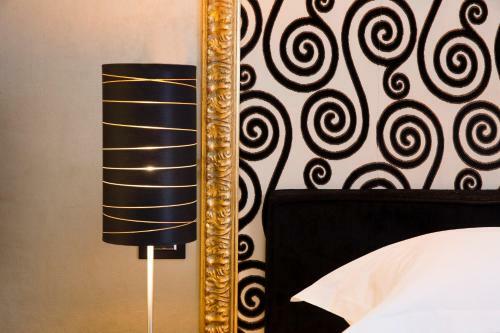 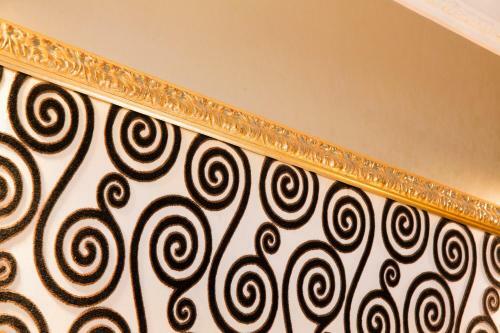 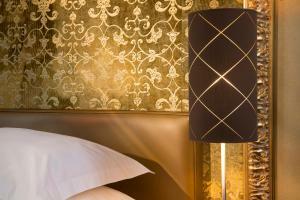 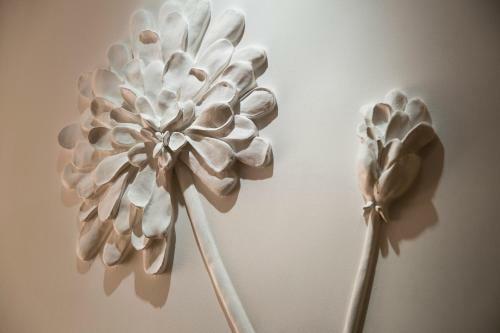 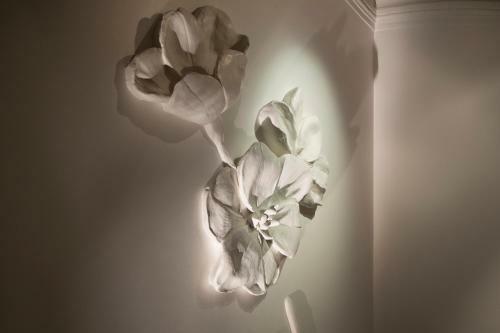 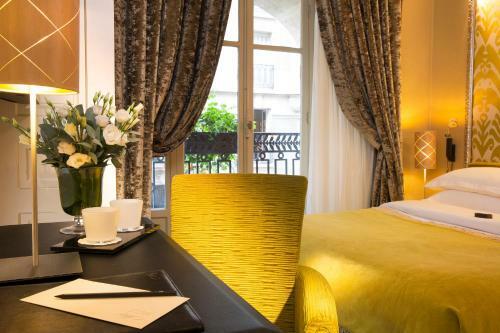 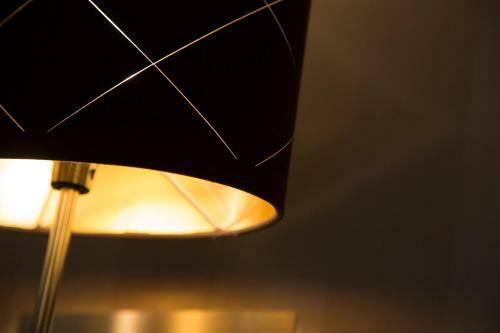 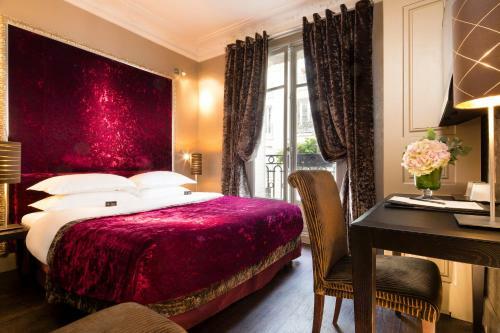 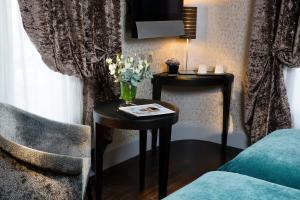 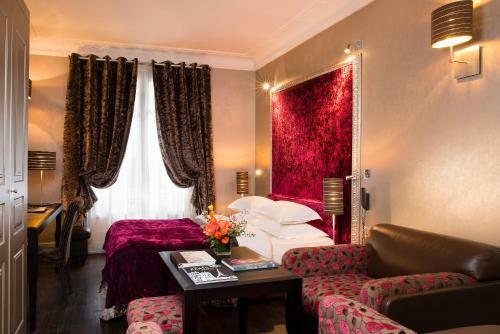 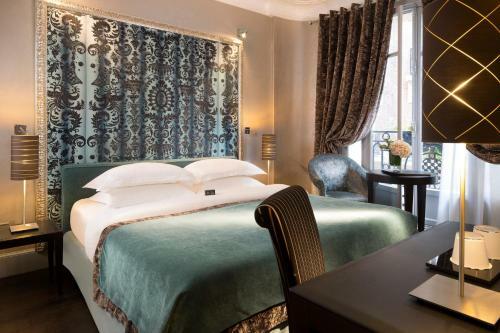 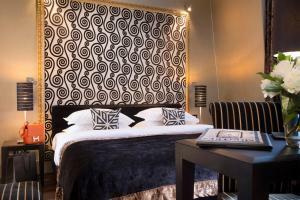 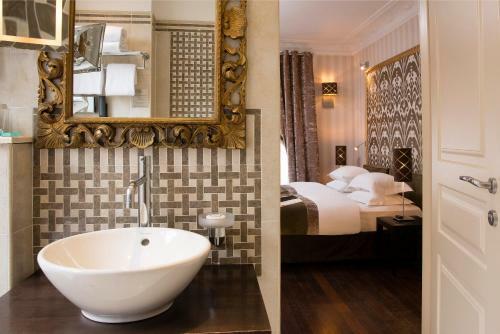 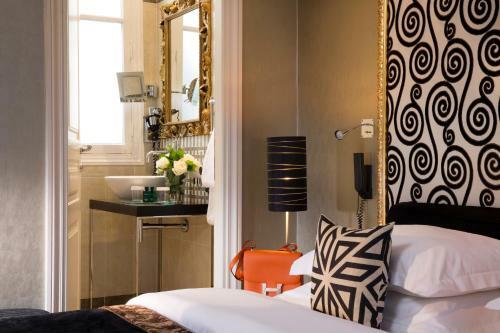 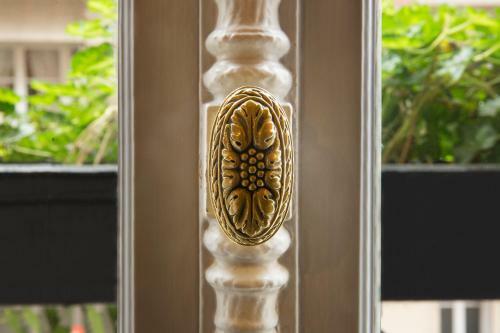 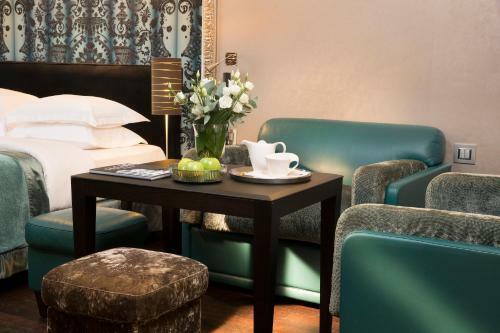 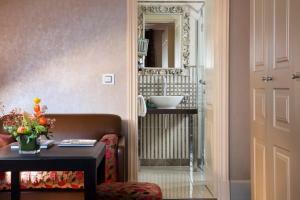 Rooms at Arès Tour Eiffel are a mix of Baroque and contemporary decor. 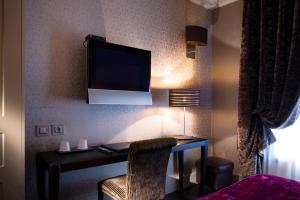 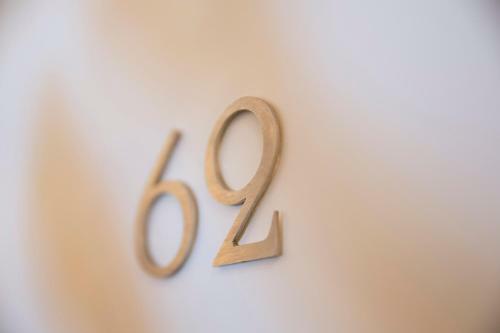 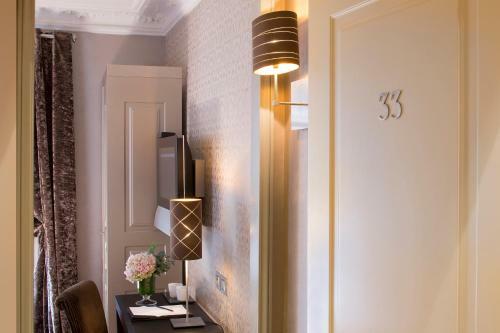 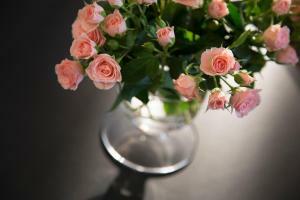 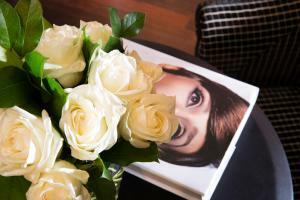 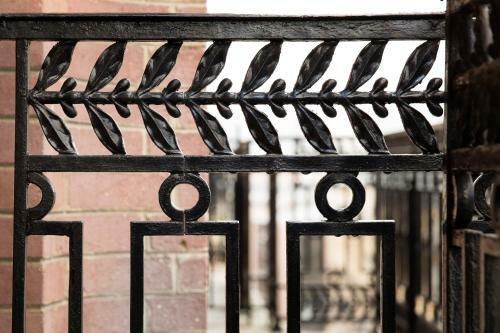 Each room is equipped with a flat-screen TV with satellite channels, a minibar and a desk. 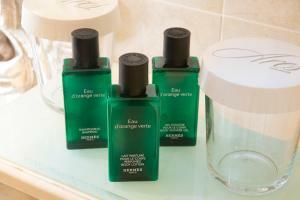 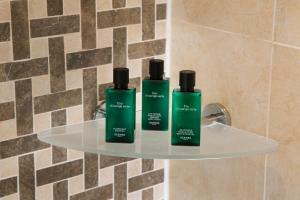 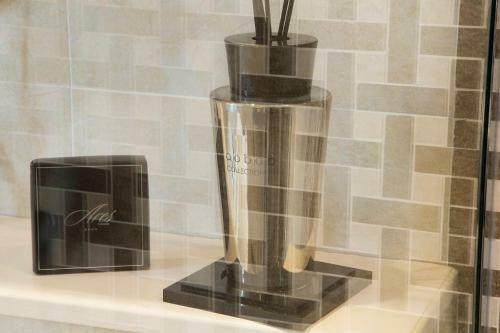 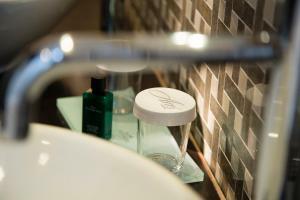 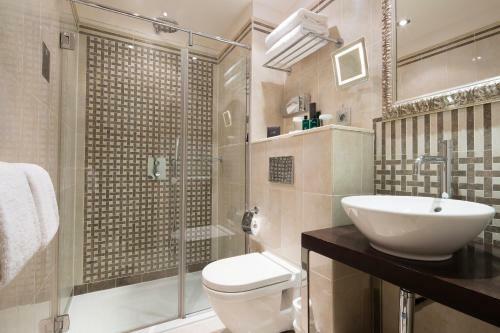 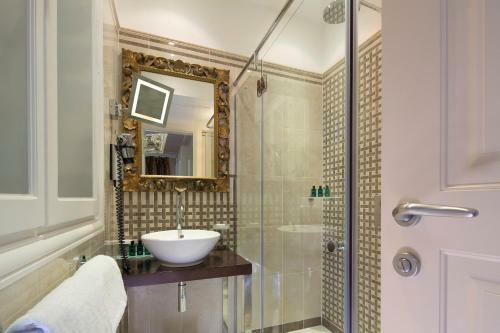 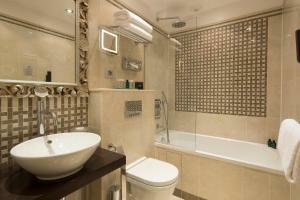 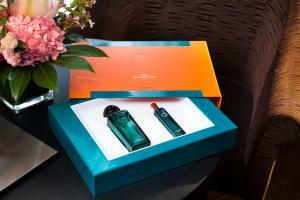 The modern bathrooms feature Versace tiles and Hermès toiletries. 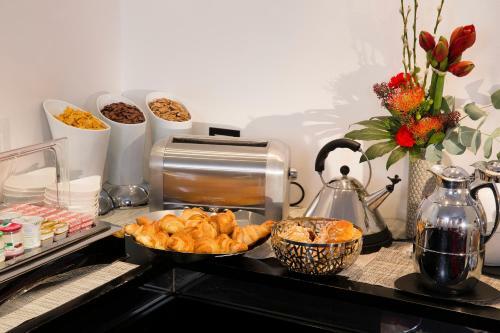 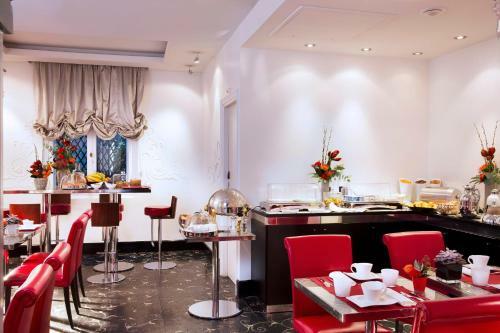 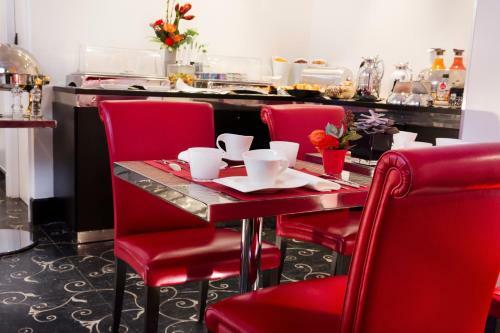 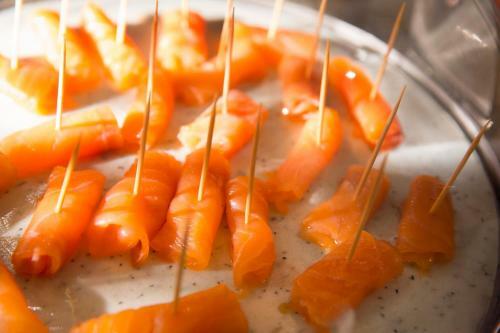 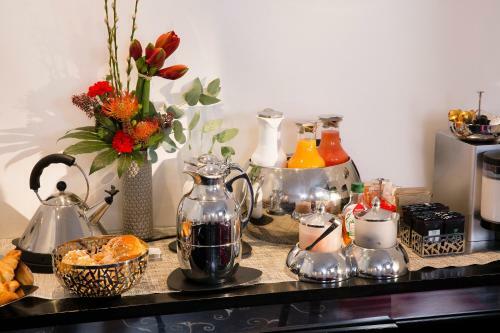 Guests have the option of enjoying a buffet breakfast in the hotel’s breakfast room or in their guest room. 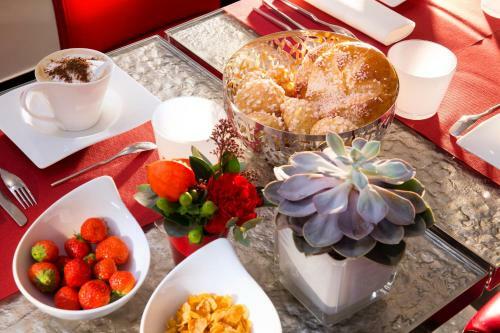 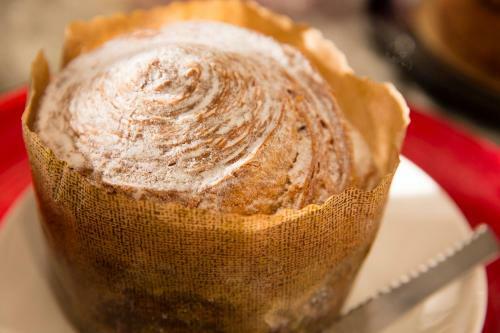 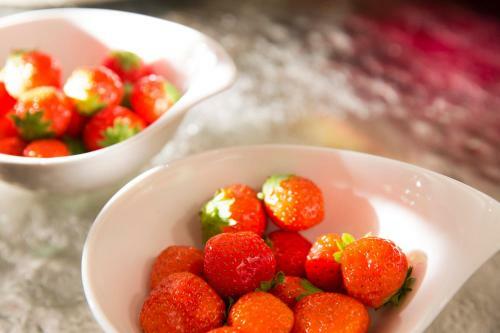 For snacks and other meals, room service is offered. 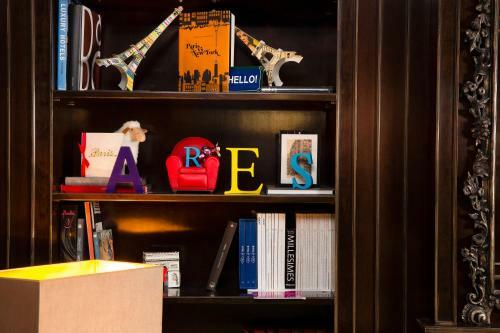 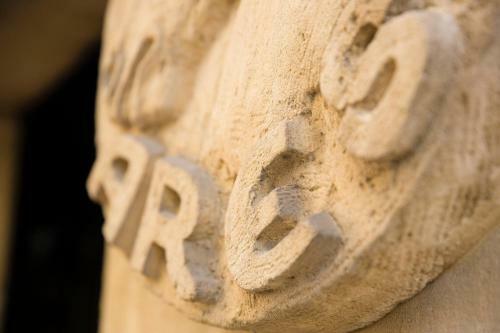 The reception desk at the Arès is open 24 hours a day and offers a reservation service for shows, restaurants and excursions. 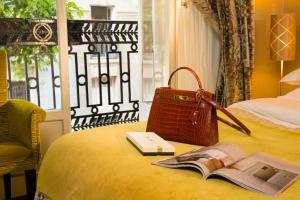 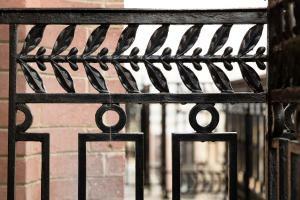 The hotel also offers a dry-cleaning service and luggage storage. 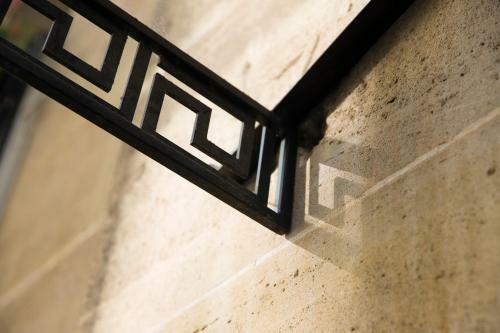 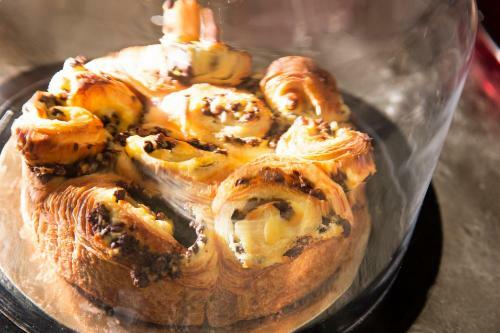 La Motte-Picquet-Grenelle Metro Station is located 260 metres from the hotel and offers direct access to Opera Garnier and Galéries Lafayette department store. 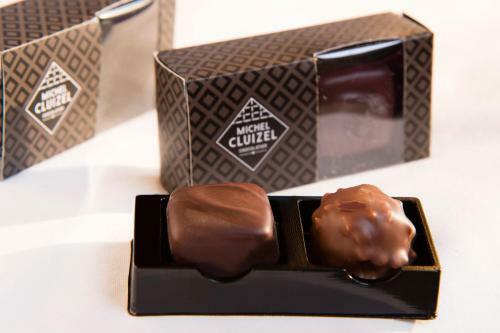 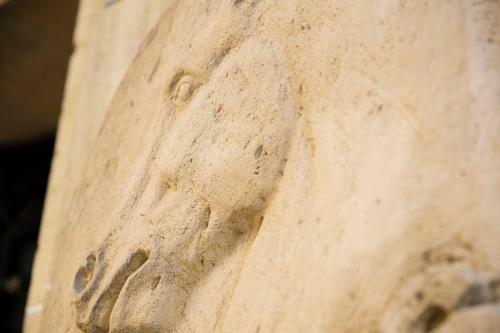 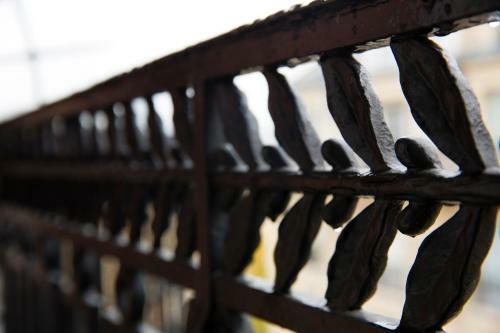 The Village Suisse antique market is 1 minute away and The Rodin Museum is a 20-minute walk from the hotel. 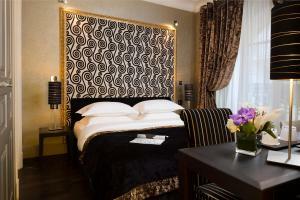 Rate: € 283.92 ... € 774.48; select dates below to get current rates.